Because we want to paint dreams everywhere! 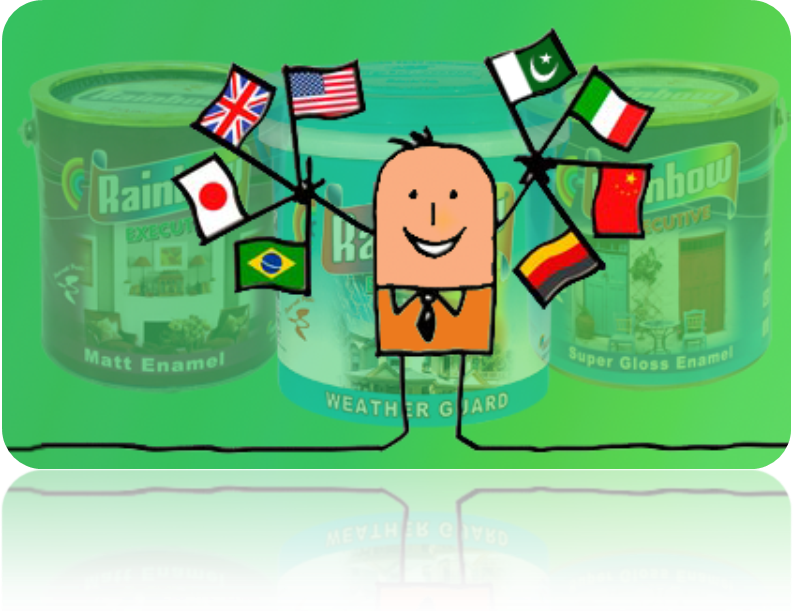 Rainbow paints is a growing company. We have grown so much over the last 35 years and want to add colours to lives everywhere. From just Karachi we have expanded to all over Pakistan and are tapping into other countries too! If you have any export related query or are a looking to import from us, we would like to hear from you. Simply go to the “contact us” tab and click on Export Inquiries OR Click HERE.